Is that a greater or lesser flamingo? 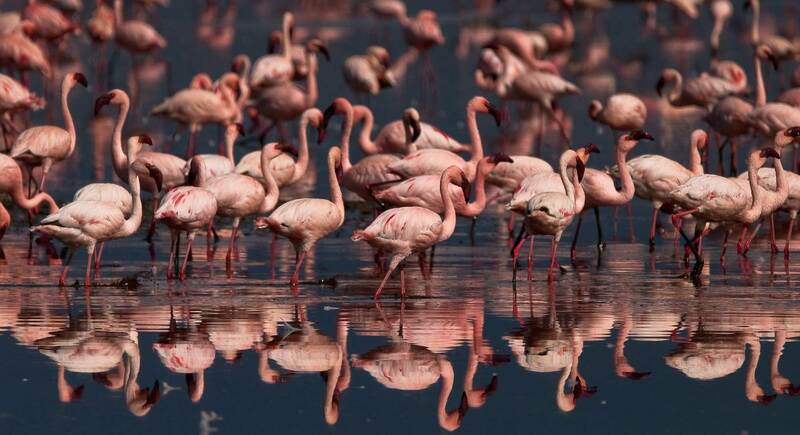 Flamingos can be viewed along the Namibian coast and although they may all look the same there are some important differences between the various species. Some flamingos are shorter, some are tall and their features are identical. It has however been found that greater and lesser flamingos are not related. Thousands of flamingos inhabit Walvis Bay’s wetlands; the result is a sea of pink as far as the eye can see. The two species share the ocean, pans and flats filled with water inland and even smaller dams as their habitat. 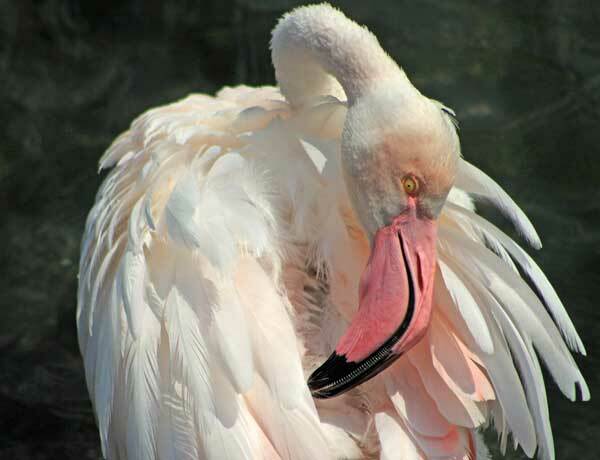 The taller of the two species is the greater flamingo and their plumage tends to be more white than pink. Greater flamingos have light pink beaks with a dark tip. Lesser flamingos are more pink in colour and their legs are sorter. Their beaks are a dark red with black tip. The breeding grounds fro both groups is the eastern part of the Etosha Pan whenever there is water. The water in the pan flows in from Angola, this is when thousands of flamingos flock there to breed. Flamingos usually lay only one egg at a time. The largest number of flamingos recorded in the past 30 years in and around Walvis Bay is about 86 000, comprising both species. The smallest recorded number was 3300. Normally Walvis Bay has 18 000 greater flamingos and 16 000 lesser flamingos. Greater flamingos mainly eat organisms found in the mud of the lagoon at Walvis Bay. The flamingos perform a dance when it’s meal time, this is done to loosen the mud. At low tide the holes made by the grazing flamingos can be seen all over the pan. The unique pink coloration in the greater flamingos feathers are caused by these organisms that they ingest. Greater flamingos are believed to survive up to 40 years old in the wild. In captivity they may become even older. Lesser flamingos have different eating patterns. Their main diet is microscopic algae that floats in the water. For this reason lesser flamingos can be seen grazing between 13 to 24 hours in a day. 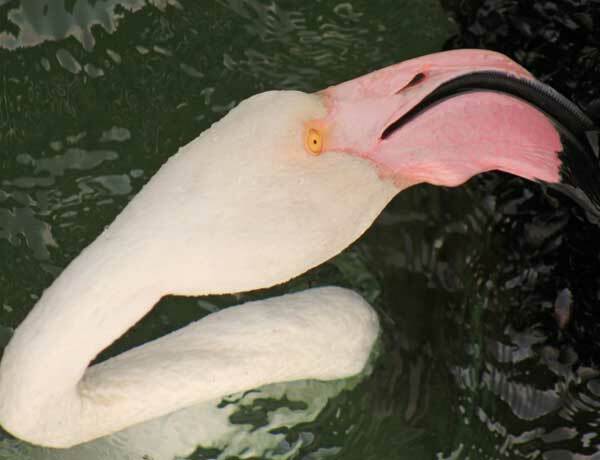 The algae also contributes to the pink plumage of the lesser flamingo. They too can survive to be as old as 40 years old in the wild.